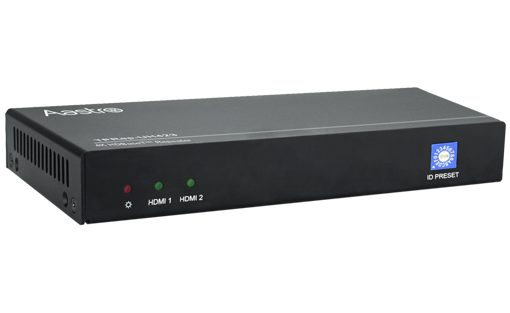 Features HDBT input, HDBT output, Audio output and two HDMI outputs. 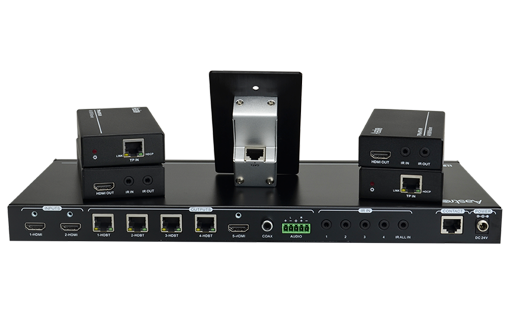 With two RS232 ports, supports point-to-point, one-to-many and one-to-all RS232 control. 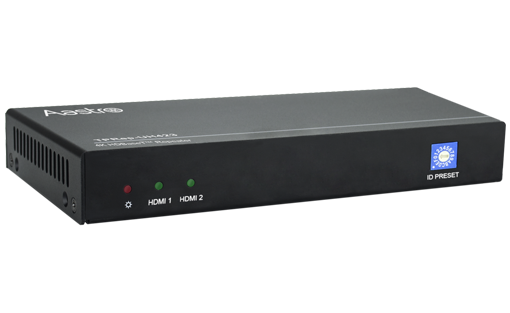 The input & output video resolution can up to 4Kx2K@60Hz 4:2:0. 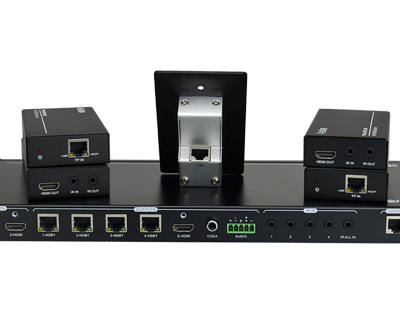 Supports all-known HDMI audio formats including Dolby TrueHD, Dolby Atmos, Dolby Digital Plus and DTS-HD Master Audio. 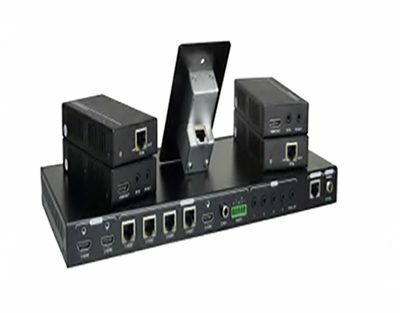 HDBT ports with distance up to 328ft. (100m) at 1080p and 230ft. (70m) at 4Kx2K over CAT5e/6/7. 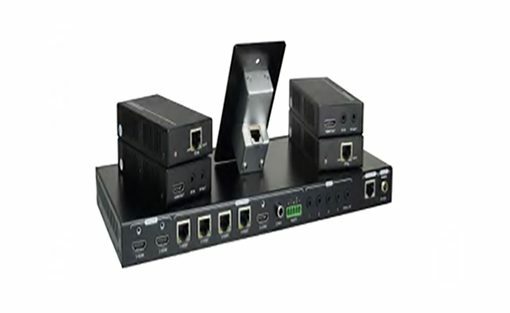 Supports cascading, at least 6 units can be looped within the same operation system. 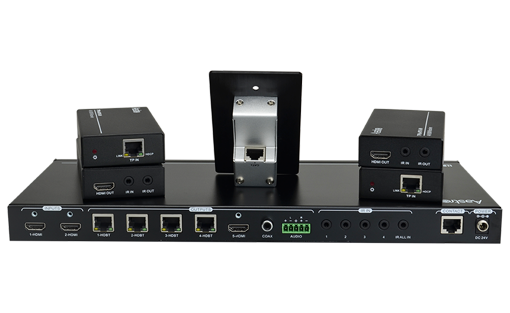 ID PRESET switcher is designed for assigning the Unit ID. Note: All nominal levels are at ±10%.